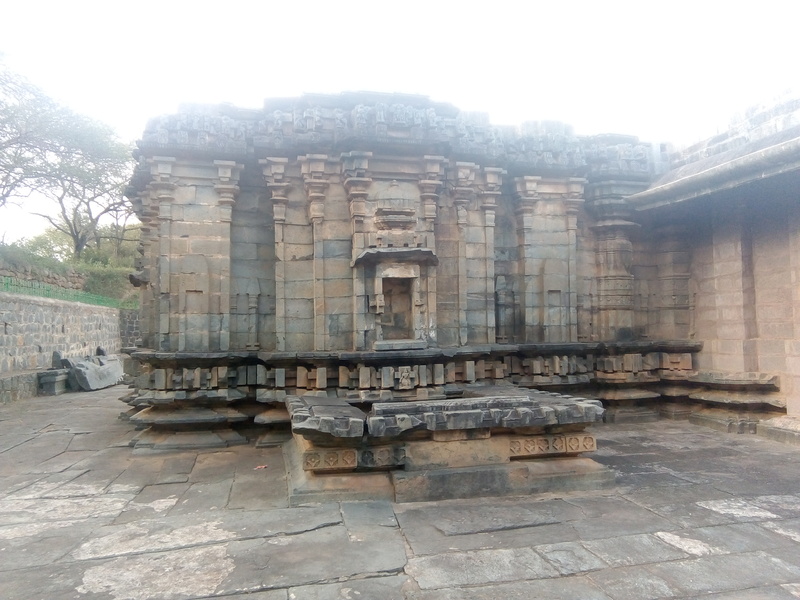 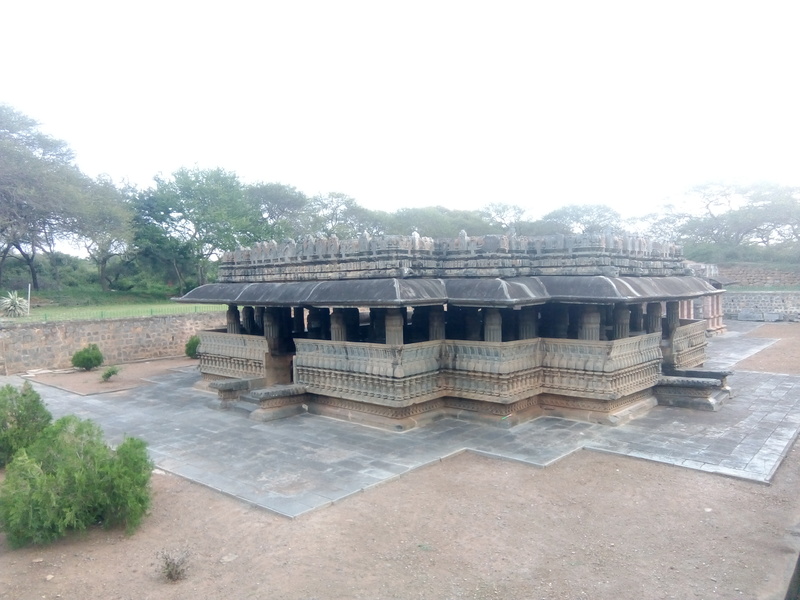 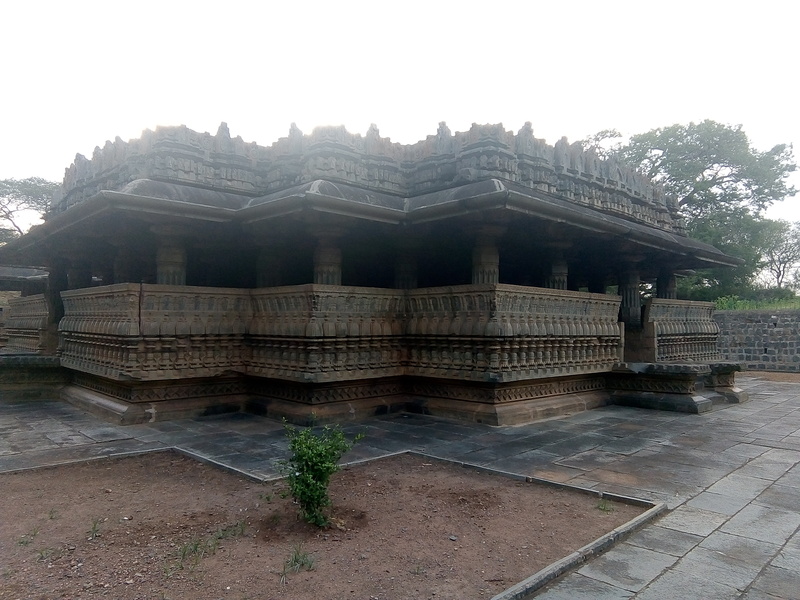 The Nagareshvara Temple is a 12th-century Western Chalaukya (also called Later Chalukya or Kalyani Chalukya) construction. 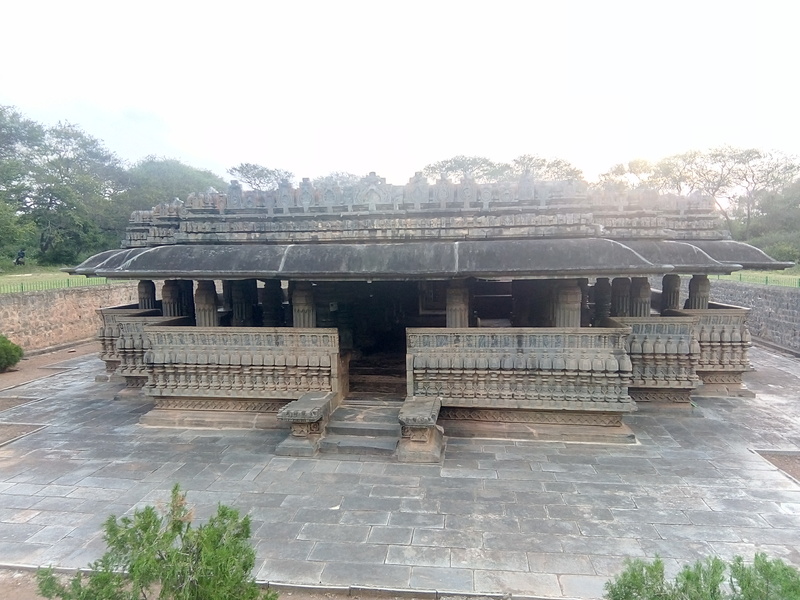 Bankapura is in Shiggaon taluk, Haveri District of Karnataka state, India. 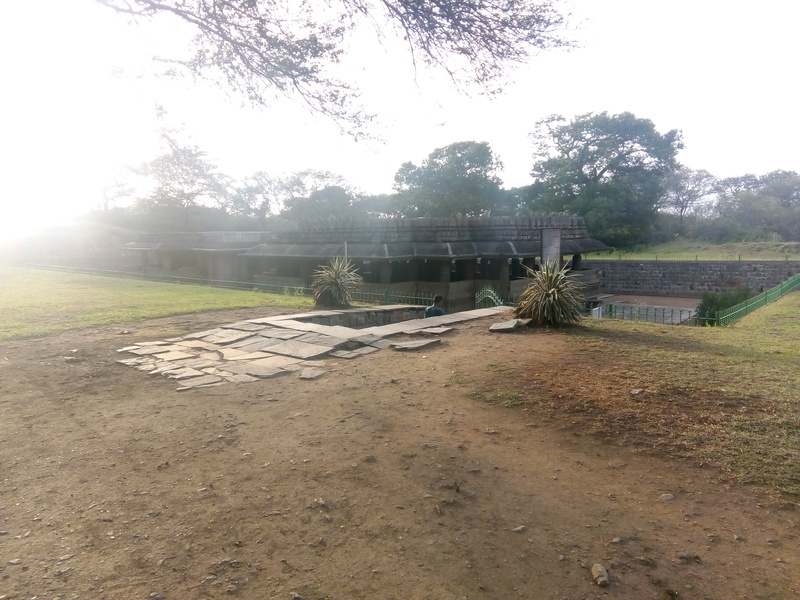 According to the Archaeologist Henry Cousens (1854–1933), during medieval times, the Bankapura fort was considered one of the most important fortifications in the Karnataka region. 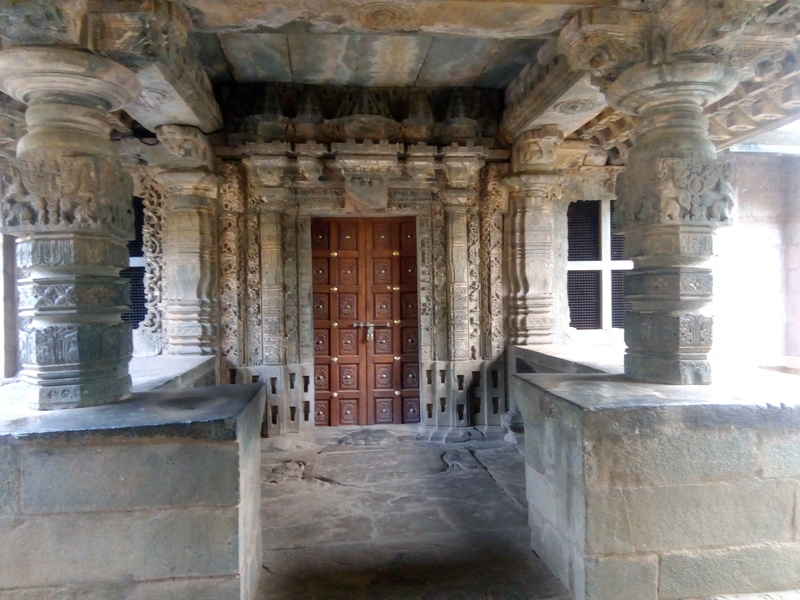 According to Cousens, the temple suffered much damage when Bankapura fell to the armies of Firoz Shah Bahamani in 1406 CE and later again when it was occupied by the Bijapur Sultan Adil Shah. 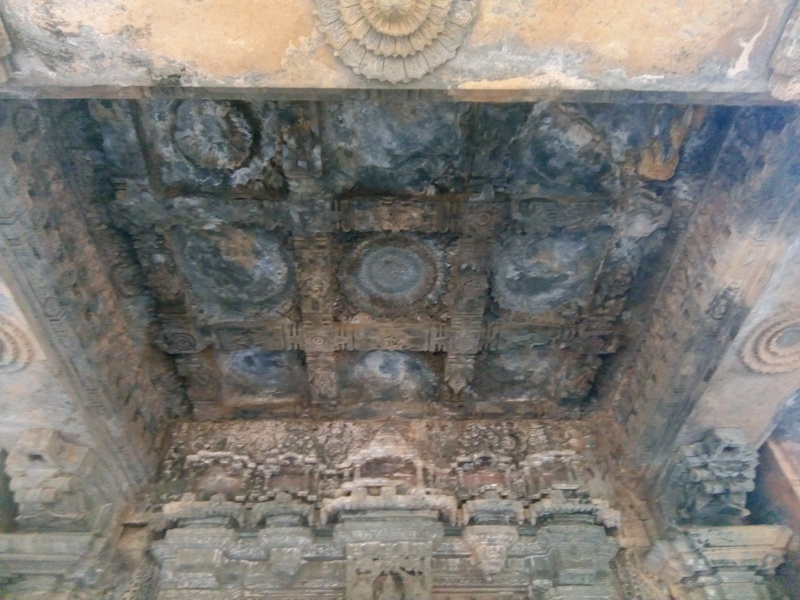 According to the writings of Farishtah, the Sultan “ordered a superb temple within the fort to be destroyed”. 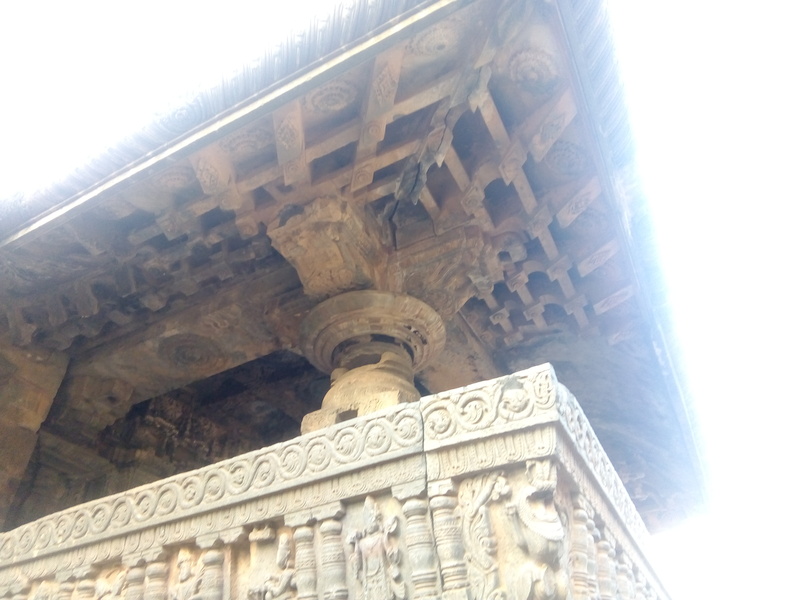 However, despite much pillage, the large temple with its majestic “great” hall (mantapa) still retains some of its original beauty. 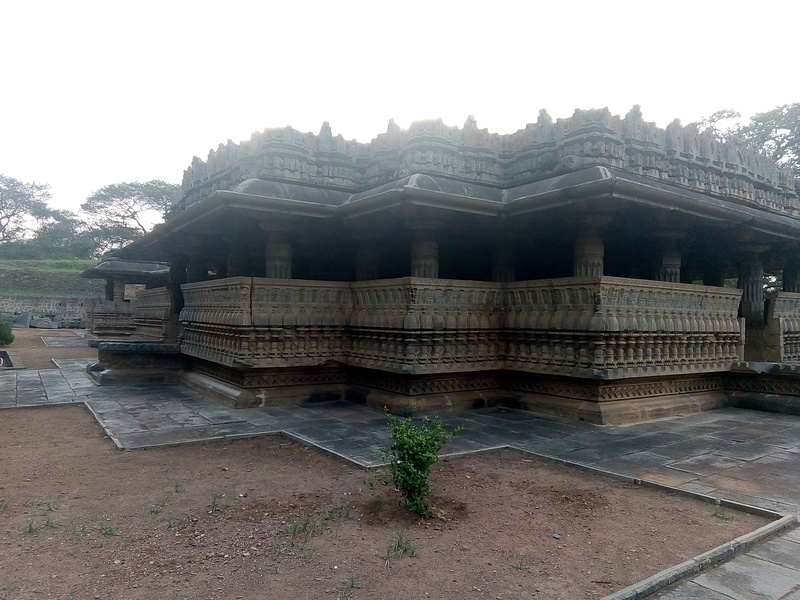 That the temple was built in honor of the Hindu god Shiva comes from two short inscriptions in the temple which begin with a salutation to “Shambu” (another name for the Hindu god Shiva). 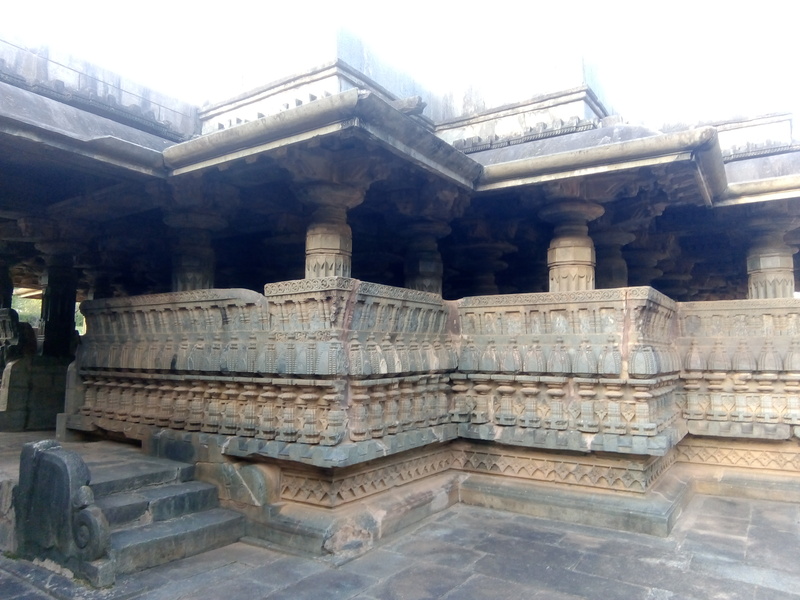 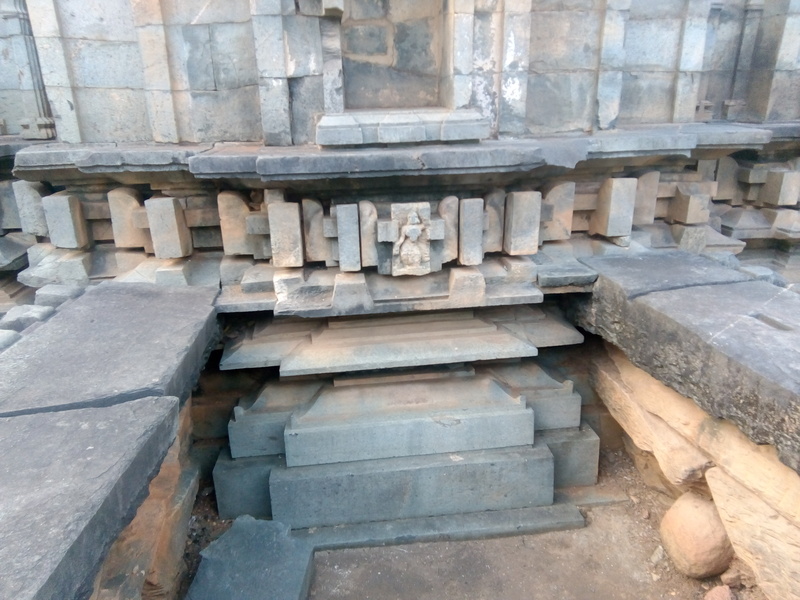 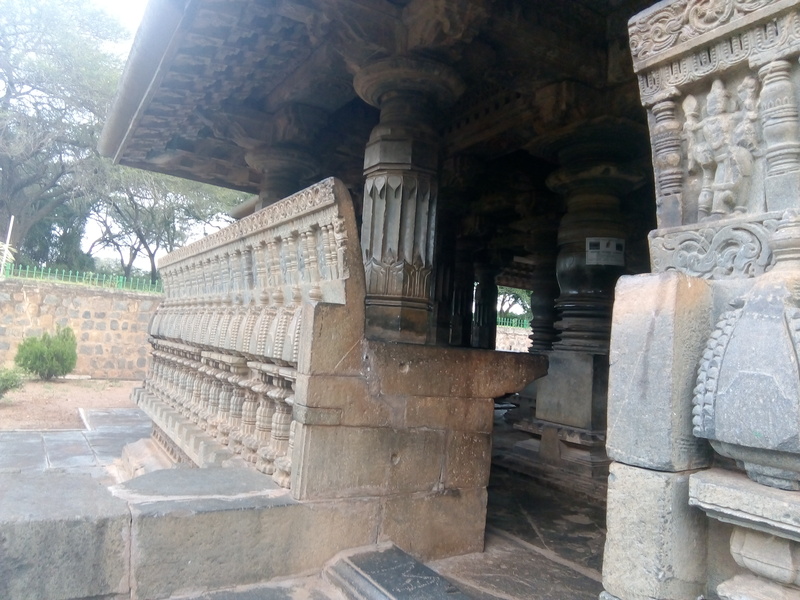 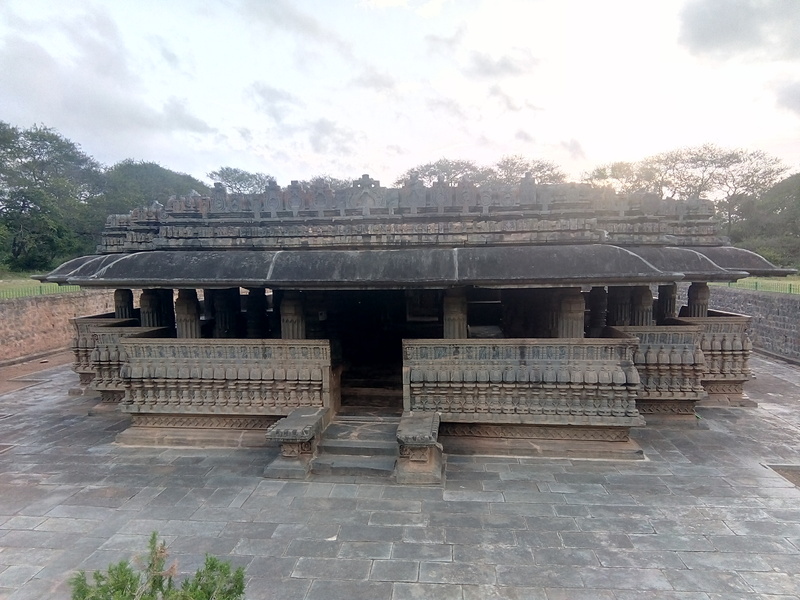 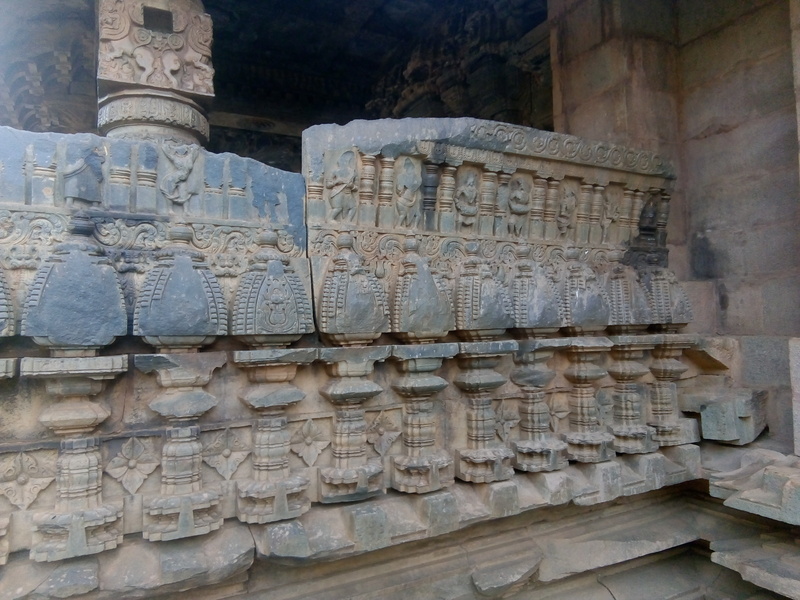 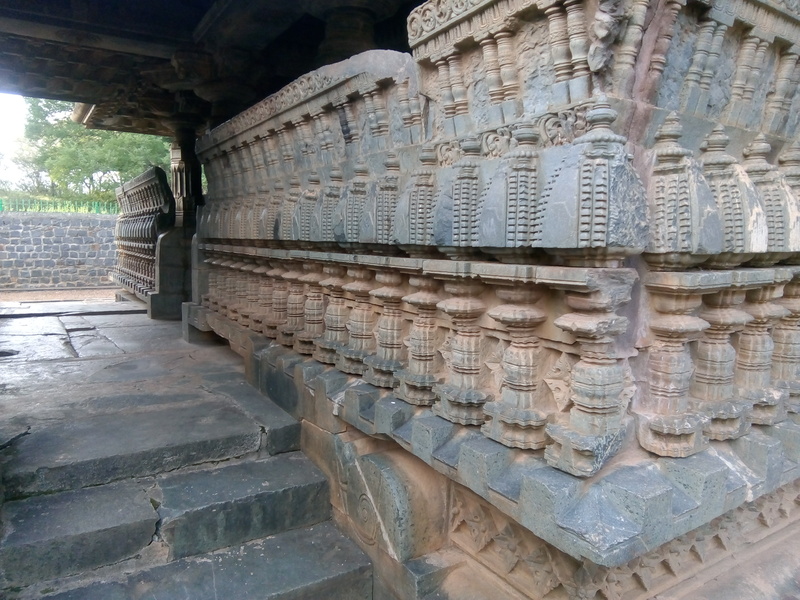 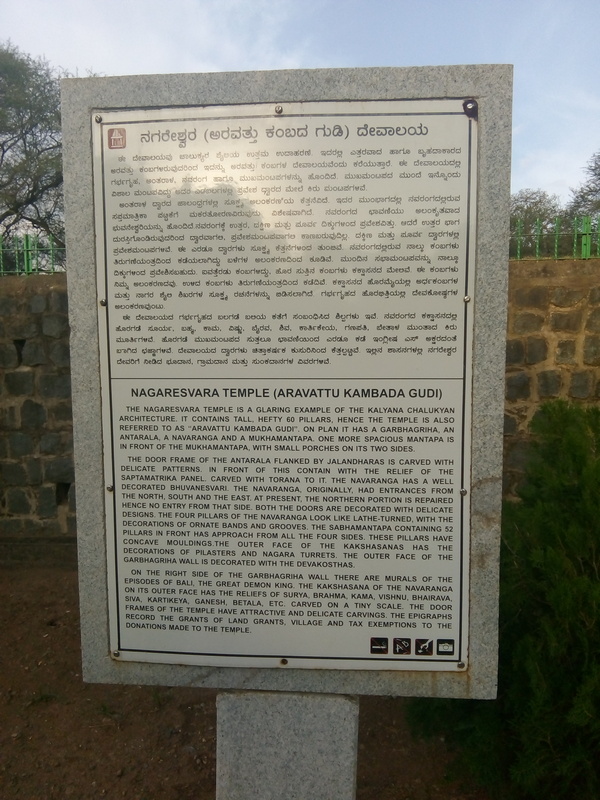 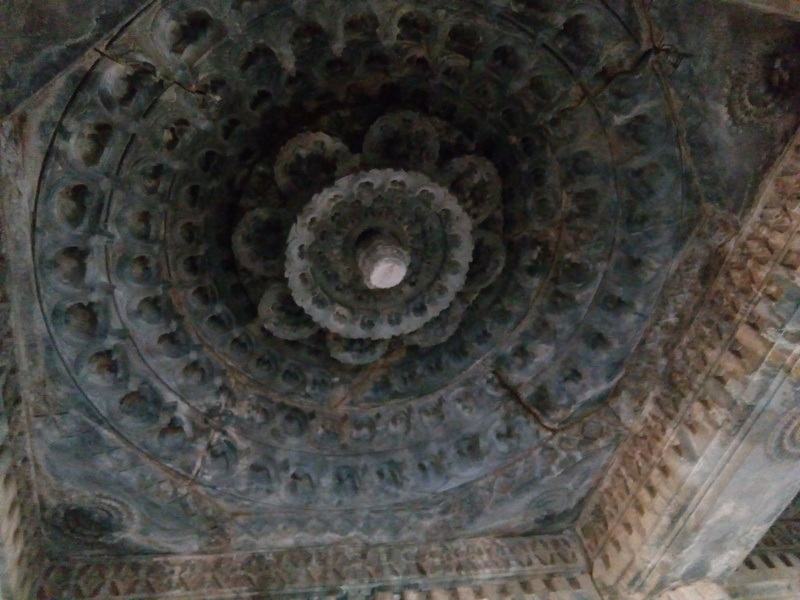 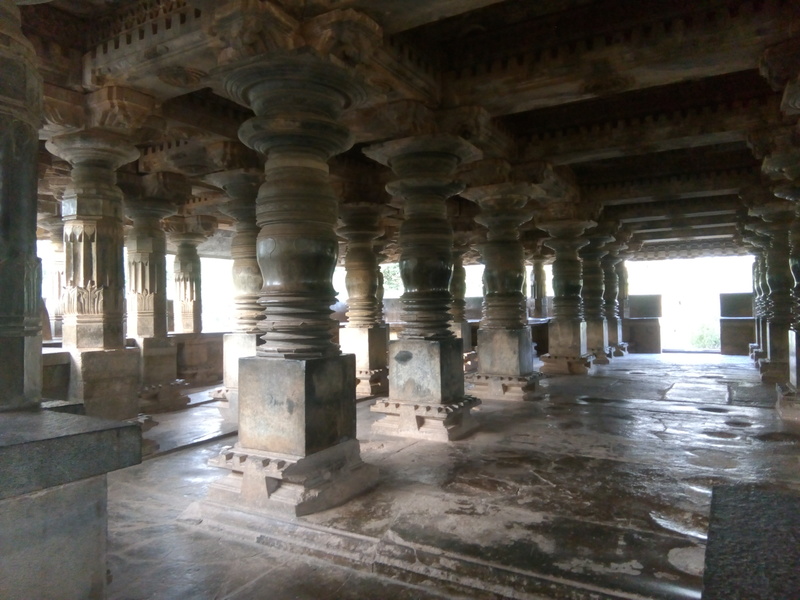 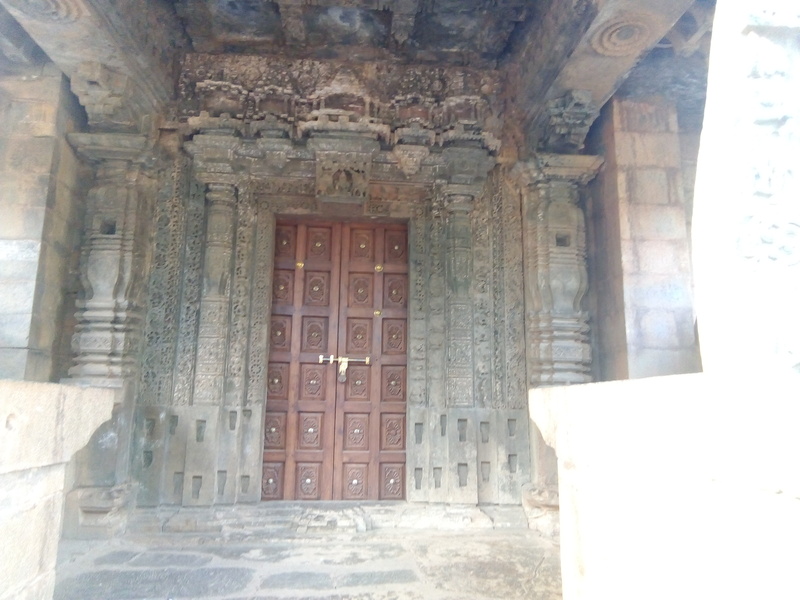 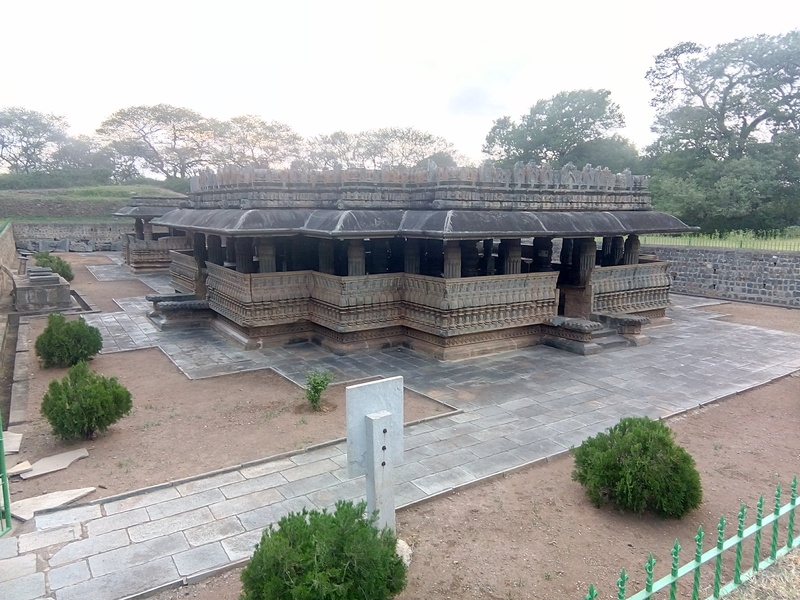 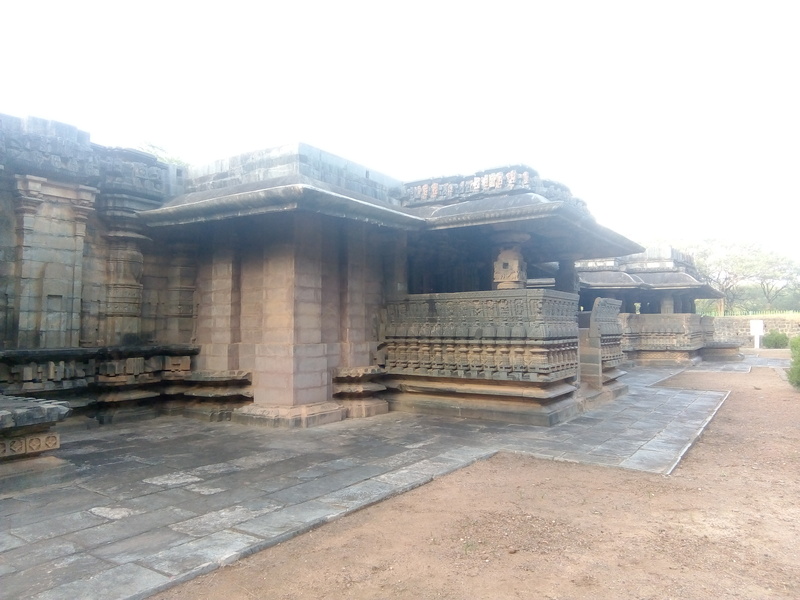 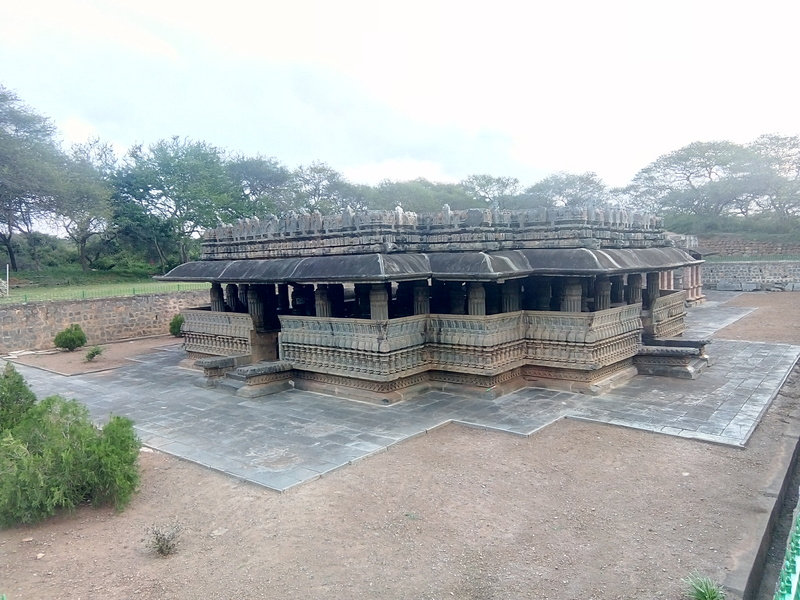 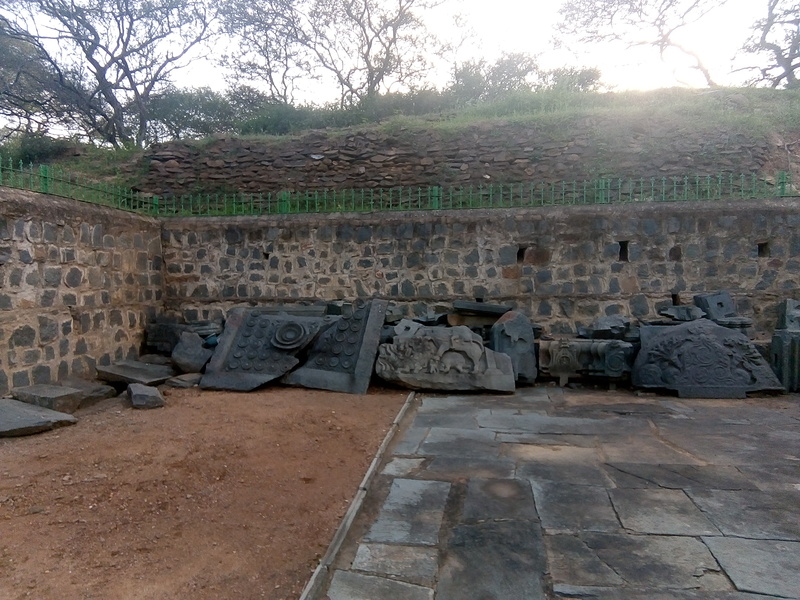 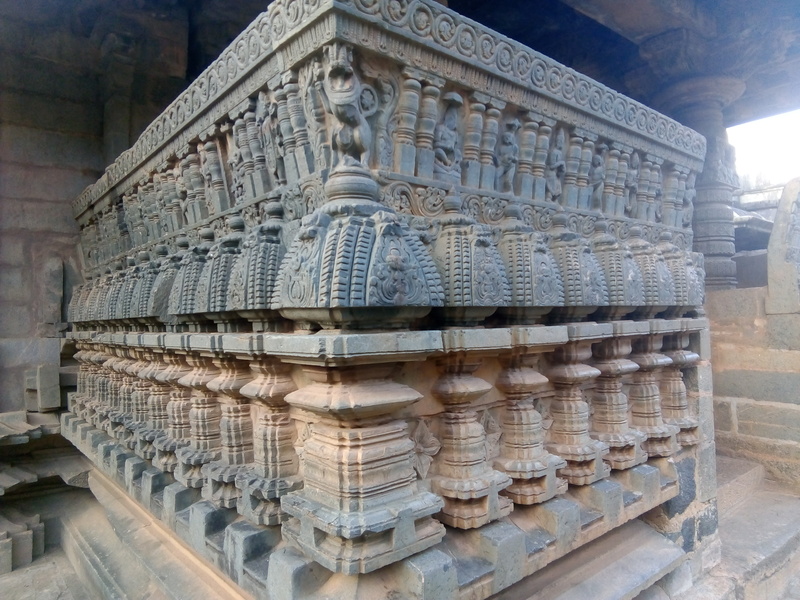 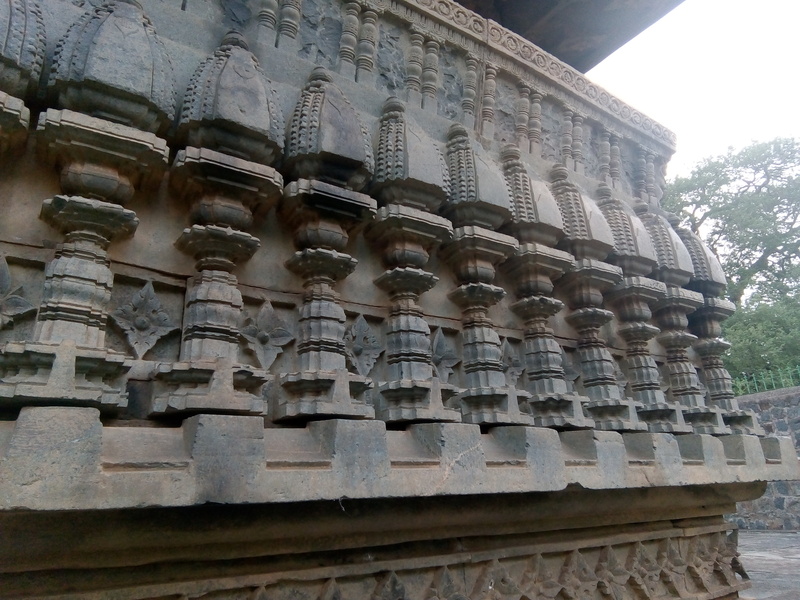 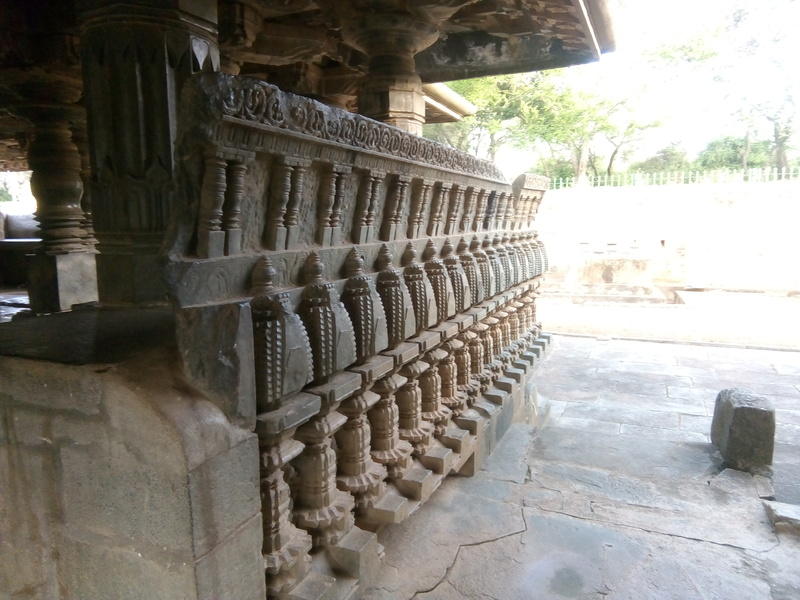 There are other inscriptions in the temple, two of which are dated 1138 CE and one dated 1091 that record grants to the god “Nagaresvaradeva”. 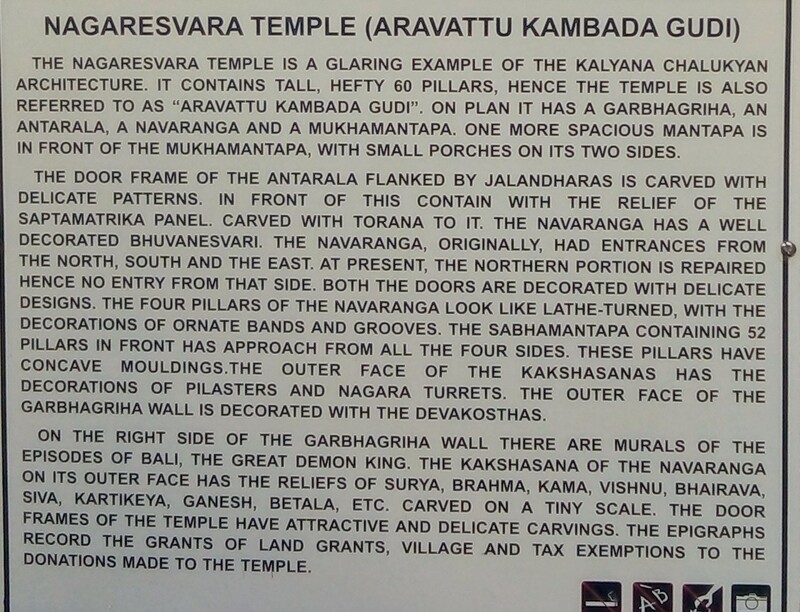 The temple is protected as a monument of national importance by the Archaeological Survey of India.